UNITED NATIONS, Feb 12 2009 (IPS) - As the economic meltdown spreads to the far corners of the world, developing nations are increasingly strengthening their social and economic ties, bolstering the growing new concept of South-South cooperation – in trade, investment, transport, health care, education, climate change, communications and disaster reduction. The Asia-Pacific region, home to the world's fastest growing economies and two-thirds of humanity, has been taking the lead in regional economic integration ever since the creation of the Association of Southeast Asian Nations (ASEAN) back in 1967. The current financial crisis has triggered increased regional and inter-regional cooperation both among developing nations and between developed and developing nations, says Under-Secretary-General Noeleen Heyzer, executive secretary of the Bangkok-based U.N. Economic and Social Comission for Asia and the Pacific (ESCAP). "In my view," she said in an interview with U.N. Bureau Chief Thalif Deen, "the main thrust of South-South cooperation in the 21st century should be to address growing disparities within the region and within countries". 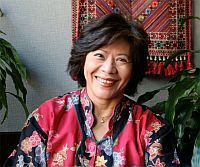 "The main potential for South-South cooperation in Asia-Pacific lies in effective policy measures to promote inclusive and equitable growth, and political commitment to achieve a fair distribution of the development benefits," said Heyzer, a national of Singapore and a former executive director of the U.N. Development Fund for Women (UNIFEM). IPS: The 10-member ASEAN, with a combined GDP of 1 trillion dollars and a market of 550 million people, is touted as one of the world's most successful regional organisations working towards social and economic integration. Are there any other Asian regional organisations that are set to follow in the footsteps of ASEAN? NH: Regional economic cooperation in the Asian and Pacific region is a relatively recent phenomenon, starting in 1967 with ASEAN where promoting peace was the key objective for the first 10 years. After the Bali Summit in 1976, the focus widened to include economic and social cooperation, including the creation of an ASEAN Economic Community by 2015. The Pacific Islands Forum representing heads of governments of all independent and self- governing Pacific islands, was formed in 1971 to cooperate on political and economic concerns, with the Pacific Islands Forum Secretariat set up as a Trade Bureau that later expanded to cover a range of other development concerns. The South Asian Association for Regional Cooperation (SAARC) was established in December 1985 comprising seven countries, and its initial focus covered agriculture, rural development, telecommunications, meteorology and health and population activities, but these incrementally expanded to a number of other areas including trade. In North and Central Asia, the Economic Cooperation Organisation (ECO), first established in 1985 by Iran, Pakistan and Turkey, and was later expanded in 1991 to include seven new members from Central Asia that were formerly part of the Soviet Union. Its focus is on promoting economic cooperation. The most recent is the Shanghai Cooperation Organisation (SCO) founded in 2001 by six countries to deal with security-related concerns but also involved cooperation in a number of economic and social areas. Among all the subregional organisations in Asia-Pacific, ASEAN has been making progress towards greater economic and social integration. The organisation recently adopted a new charter which outlines the core values and vision for the organisation. Even within ASEAN, greater economic and social integration has been challenged by the development disparities and gaps existing among its 10 member states. Thus, unlike other regions Asia-Pacific has no regional architecture, and ESCAP is the only intergovernmental platform covering the entire Asia-Pacific region with a comprehensive and inclusive membership, and can play an important role in forging cooperation between the subregions for shared progress and prosperity in the region as a whole. IPS: In what areas are the key success stories of South-South cooperation in the Asia- Pacific region? NH: The Asia-Pacific region has witnessed many success stories on South-South cooperation in the past decade. I would like to just highlight a few of them. Trade and investment: We have seen expanded trade and increased capital flows within the region, along with various forms of South-to-South development assistance. A prime example of South-South cooperation in trade is the Asia-Pacific Trade Agreement (APTA), for which ESCAP serves as the secretariat. Formerly known as the Bangkok Agreement, it is the oldest regional trade agreement in Asia and the Pacific. It groups countries at different stages of development, which enhances the potential for trade between them. Current members are: Bangladesh, China, India, Laos, Sri Lanka and the Republic of Korea. ESCAP also serves as the secretariat for the Asia-Pacific Research and training Network on Trade (ARTNet), which promotes the sharing of trade-related information and research findings among developing countries in the region. Disaster risk reduction (DRR): The Asia-Pacific region is one of the most disaster-prone regions. Regional and subregional networks have been developed to facilitate South-South learning in disaster risk reduction. With support from ESCAP and the UNDP Special Unit for South-South Cooperation, a Regional South-South Cooperation Mechanism for DRR was established in late 2007 by 10 pilot countries. Indonesia serves as the interim secretariat for the regional mechanism. Recently, ESCAP brought together a number of countries in Asia to share experiences and good practices learnt from dealing with the Asian Tsunami, cyclones as well earthquakes within the region to assist Myanmar in dealing with the recovery and reconstruction needs in the areas devastated by Cyclone Nargis. Transport: ESCAP facilitated the intergovernmental agreements on the Asian Highway Network and the Trans-Asian Railway Network. These two transport networks are expected to contribute to reduction of poverty and disparity through improved access to socioeconomic opportunities and services, including basic health and education, market and employment. Social policy development and social protection: Many countries in the ESCAP region have been leaders in according primacy to social development, including through social protection and universal health-care coverage, even in times of slow economic growth. This allowed them to build a strong base for equitable and inclusive economic progress. ESCAP serves as a forum for sharing these regional experiences and good practices for the benefit of other countries in the region. The need for strong public policies and social protection systems has been further highlighted by the current financial and economic crisis where millions have lost their jobs and livelihoods in the real economy. ESCAP has also played an important role in building the capacity of member states to achieve the Millennium Development Goals (MDGs), by using the experiences of "on-track" countries to benefit "off-track" countries, especially in the areas of health, education and livelihoods.